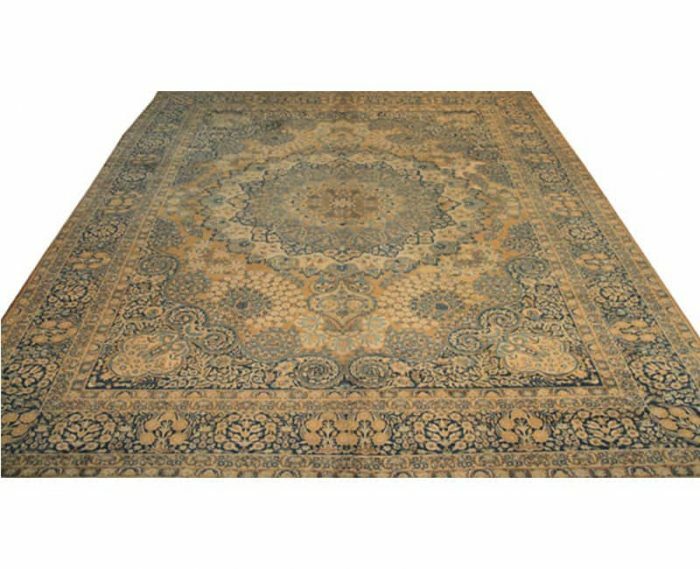 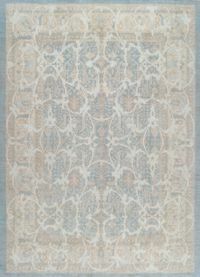 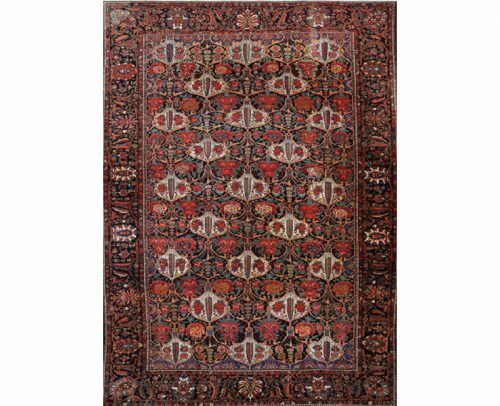 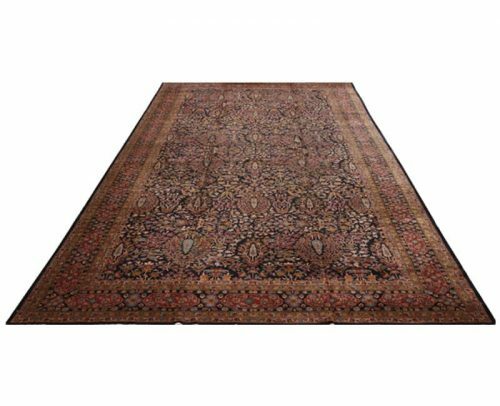 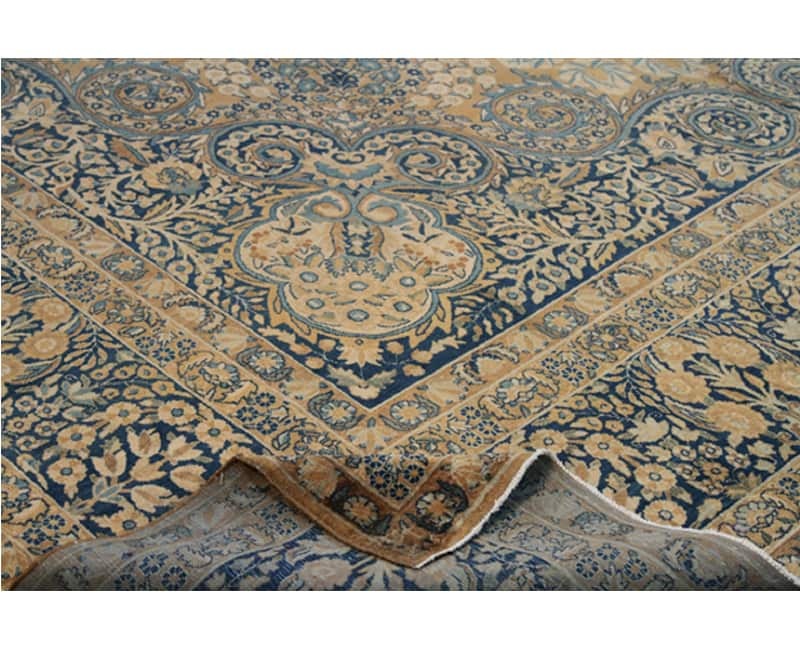 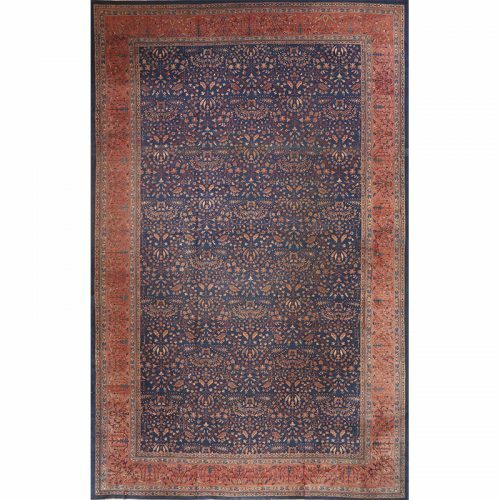 Traditional handwoven Persian Kerman area rugs are the epitome of elegant rugs. 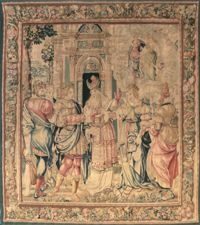 The technique with which their gorgeous designs are created make for compelling works of art. The silky-plush pile will have you feeling as though you are walking on a cloud. 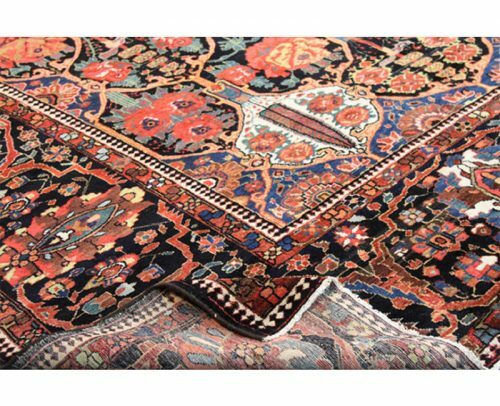 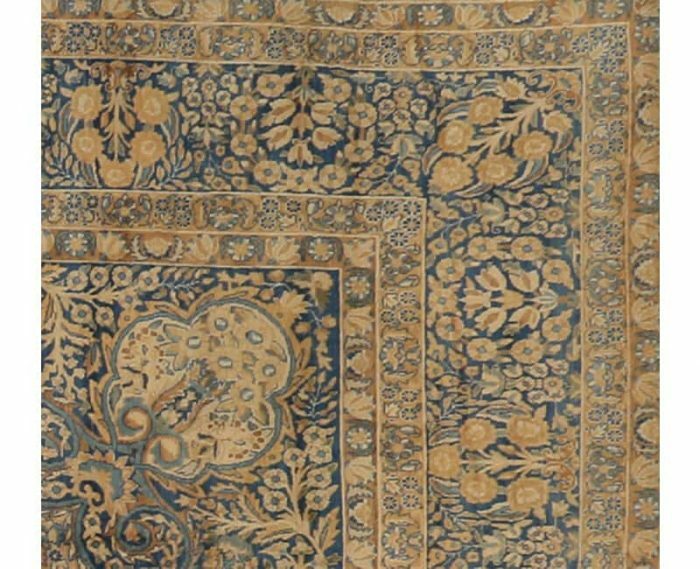 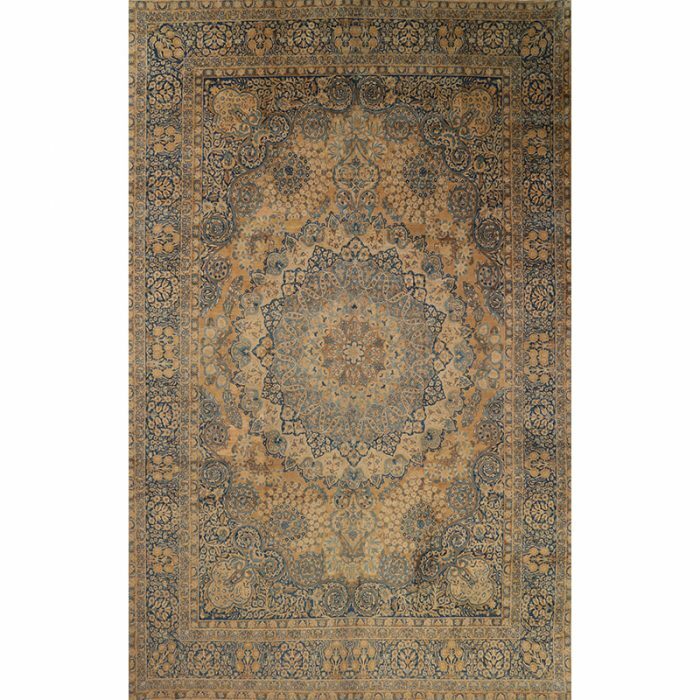 These rugs have been the go-to favorites of the Sultans for generations and never go out of style. 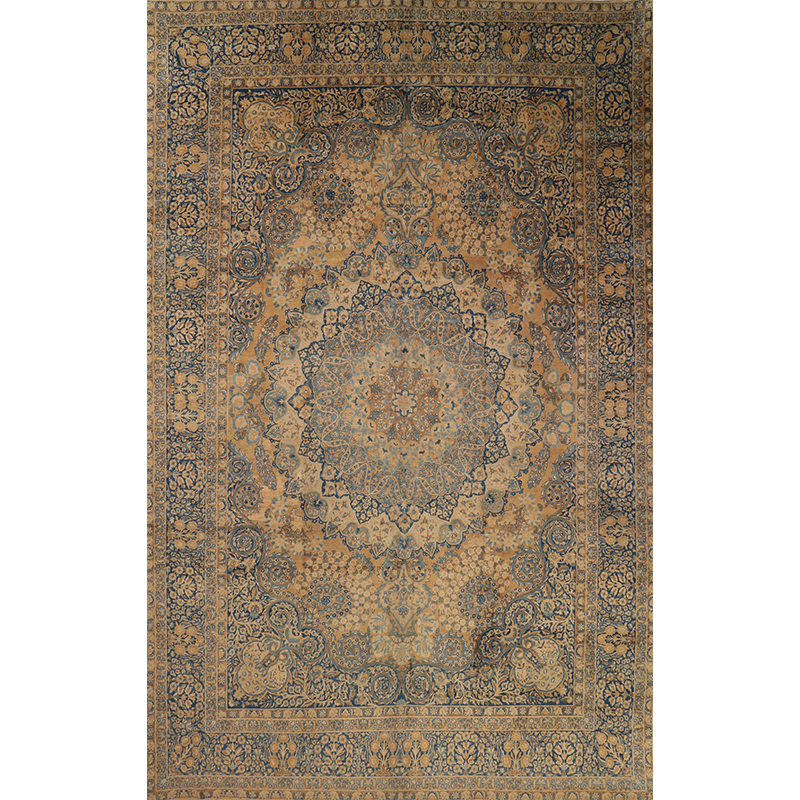 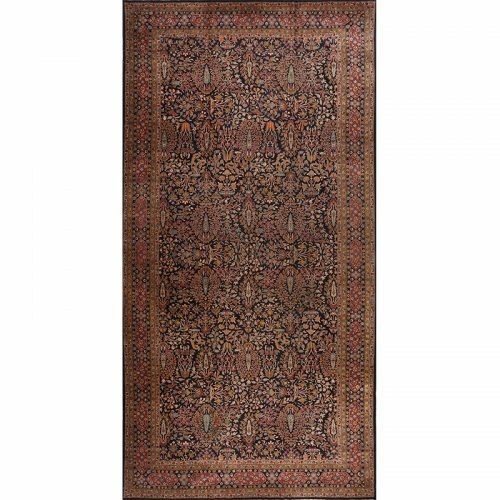 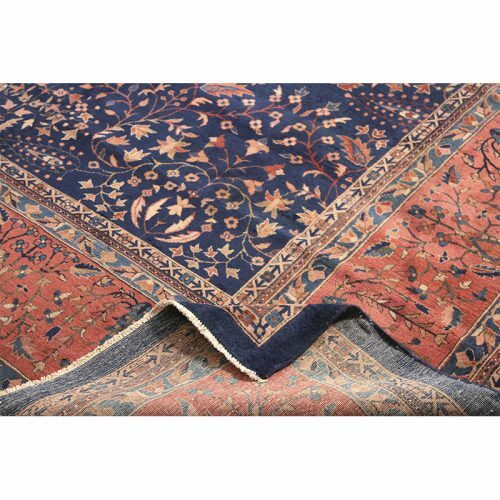 Antique handwoven Persian Kerman area rug features an intricately nuanced starburst medallion and pendant design on a lusciously rendered gold field and similarly elegant navy border. 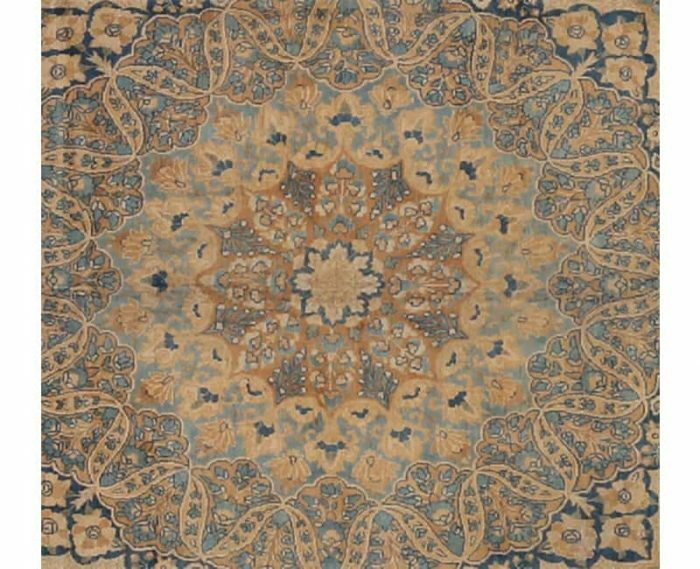 Additionally, accented in shades of ivory, brown, amber, peach, and light blue. Created from 100% natural wool and cotton by the artisans of Iran.